Apple Mac-book 2018 without Keyboards only a large touchpad. More touch of genius, as he describes it. The next iteration of the Mac-book, maybe 2018? if the current trend of Apple minimalist innovation continues. Consumers will finally get the chance to own an iMac , a touch pad computer which would allow for gesture , hand control and stencil use. The laptop is rectangular; unchanged from the other Macs except the entire keyboard area is now a touch screen. All of its functions are activated by touch, but when the hands are near, a proximity sensor will turn on allowing more functions to be explored. 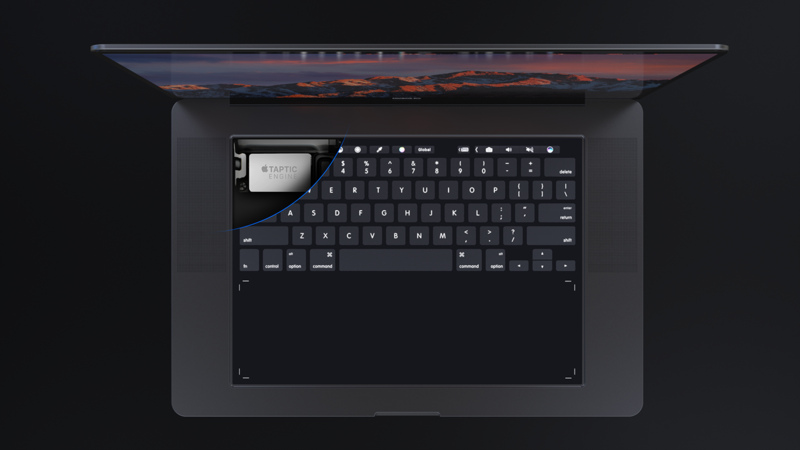 The biggest draw to this design is it eliminates the complications of the keyboard, which after sustained use could break down. Another would be it could essentially replace the Microsoft’s draw-pad, cluttering several operations into one notebook. whether it would gain weight or remain light is yet unknown as the glass would-be considerable heavier than plastic; used for keyboards. This was put together by Daniel Brunsteiner , an Industrial Design Student from Graz, Austria. Daniel has no affiliation with Apple or it’s products is a recipient of two awards for design. 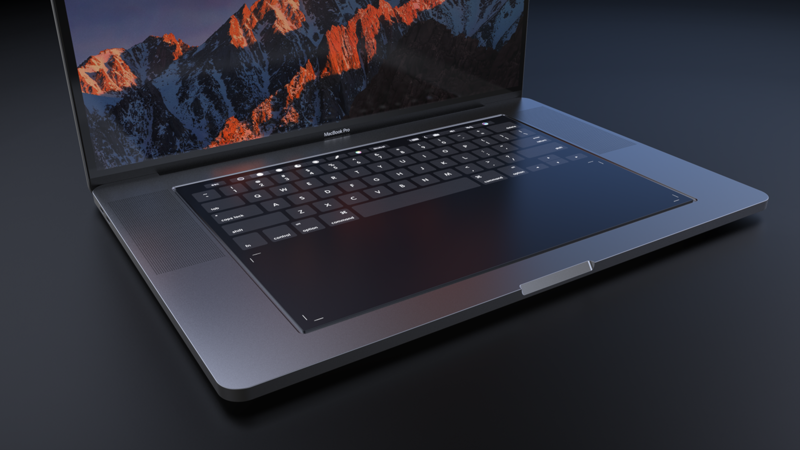 ” What if the touch bar on the new Macbook Pro would extend to a full-size touch pad? This question was the driving force on this concept. 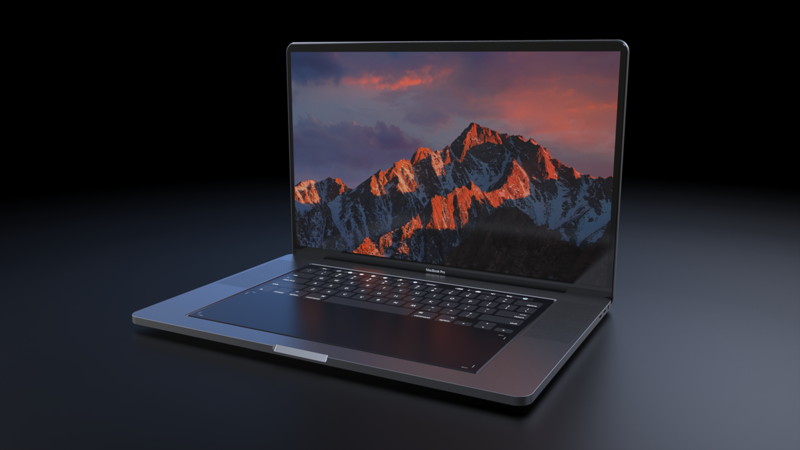 It would enable a lot of new features while maintaining the fundamental idea behind the MacBook Pro 2016 touch bar, serving as shortcuts and macro functions.” Daniel had written. Also, since it will be a touch enabled display, it could support the Apple pencil to allow user to finally use it with desktop applications. Enabling the Apple Pencil to be compatible with the new MacBook Pro,will help creative professionals in their workflow and creates new applications of the touch pad area. Using the new MacBook Pro with third party software like Adobe Photoshop or Autodesk Sketchbook will become more powerful than ever before. Packing more functionality into the simple Laptop. The now widened keyboard area would become a touch enabled surface which creates new room for possibilities; graphical worlds , animation and calligraphy, even security. And, still it — bar area– could still be available for shortcuts and function keys. The Taptic Engine system would control how the system perceive touch , depth , pressure and speed. To give the user the feel of physical buttons, emulating a scroll wheel or sliders. This can also support the visually impaired people, with Braille , amplified touch and sounds to emulate the feedback required to read it. < Menu project is an artistic impression with Food.